Drivers are making a real comeback in the world of golf and it seems that the leading club makers know that people want diversity when shopping for this addition to their bag. We’ve reviewed 10 of the best golf drivers to show you what the top performers look like, and show you the features you need in this essential piece of equipment. The modern-day driver is a lot different than it was 50 years ago, and it seems that manufacturers are sitting up and taking notice of players who need more diversity when choosing this club. The latest and greatest drivers prove exactly that with a number of features to meet specific needs couple with the best technology available. We’ve found some of the best around and will show you exactly what they offer so that you can choose the one that suits you perfectly. Whether you’re after simplicity or like a lot of features and fancy technology, there’s a driver here to tick all of your boxes. Buying the right golfer means finding one that suits your style and swing. Every golfer is unique and so is their needs, and if you’ve ever tried to swing a driver that belongs to someone else you probably realized this. There are lots of features that go into a driver, so think about what you want before you go ahead with this important purchase. Metal woods and persimmon woods are in the past now that new technology has brought us titanium and composite clubs. This material is lightweight but strong and will last a lot longer than the previous styles. 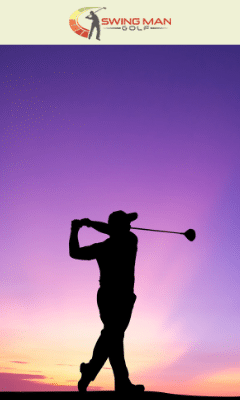 The Moment of Inertia has to do with the club’s forgiveness. Those with a higher MOI are less likely to twist when you hit the ball and are therefore more forgiving. People prefer to be custom fitted when choosing a driver so that they can get the loft perfect. This is the angle that determines how high or low the ball will fly when you hit it, and everyone has their own specific needs. The CG is where the balance point is in the club head and depending on its location it can have a dramatically different effect. Weights can be adjusted in the head to move it forward, backward, or side to side. When the CG is lower and further back, the ball will launch higher. Most drivers today come with various methods of adjustment which allow you to customize it completely. There are adjustments with the CG, loft, face angle, and other weights. The COR refers to the energy transferred when you strike the ball and it flies. This will depend on how efficient you are swinging the driver and also the rating that the club has. With all of those features in mind, how do you find the best golf driver to improve your game? Luckily, we’ve done the hard yards and rounded up the top-rated drivers on the market so you don’t have to search too far. 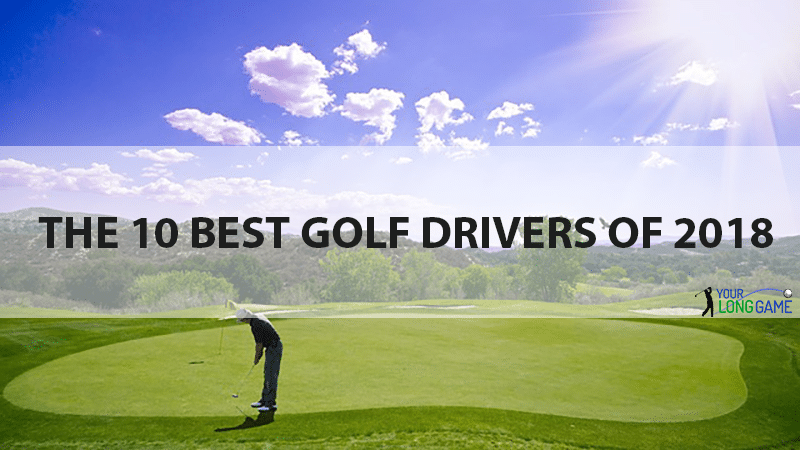 Here are our top picks for the best golf drivers and what makes them so amazing. 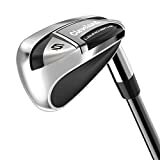 This family of drivers from Callaway still remains one of their most popular launches ever, and with the addition of the Star to this line-up, it deserves another mention. The Epic/Sub Zero/Star trio all offer something different so there’ literally something for every type of golfer in here. The Sub Zero is a lower spinning version, the Star will give you extra spin speed, and the Epic will properly your ball with speeds you’ve never seen. You can expect to pay around $500 for these but you’ll be given plenty of option to get the perfect one. This is a world famous driver and Callaway proves that they know how to give people more of what they want. Another amazing addition from Callaway comes with their Rogue driver. This is a super-size and super serious driver for those who like to do things with a bit of bulk. As well as the Rogue, this line also features the Sub Zero and Draw. These range from spin controlling clubs to a heel weighted version, giving more options for everyone. Although this might look like a beast it’s actually 25 percent lighter than the last version and a whole lot more powerful. There are titanium bars that stabilize the head and the weight they’ve saved actually adds forgiveness. This is a great driver for beginners through to pros and will set you back around $500. If you’re a golfer who takes their adjustability seriously, you’ll fall over when you hear that TaylorMade offer up 13,000 adjustable settings that you can achieve with these drivers. They’ve created a driver that was the result of watching more than half a million shots and coming up with something that will help shots fly straighter than ever – a problem they think most golfers struggle with. The twisted face design used on this club is unlike anything you’ve ever seen before and it has plenty of curves. With carbon composite panels you’ll be amazed at how light it is compared to their last one, but that doesn’t mean it’s got less power. Priced at $500, this is definitely one of the top picks on our list. Another great addition to the list from TaylorMade is their M4/D-Type drivers. Coming in two options with the standard and D-type to choose from, you’ll get one of the cheaper drivers on the market and one of the simplest as well. This is the perfect driver for those who need forgiveness or some extra speed on their balls. Carbon composite is used again for this driver and it’s got a thin face and lightweight that you’ll truly appreciate. The grams that they removed in the front has been used lower and farther back which means greater stability. For those who need help with anti-slice, the D-type will be right up your alley. For just $430, this driver is an absolute bargain and simplicity at its core. Cobra has been known to boast about the amazing technology they use to create their face inserts, and it seems to have definitely paid off with this driver. The F8 has bee made with weight saving in mind and the face has subtle curves that will increase your speed like nothing you’ve ever seen. Another great point about this driver is its price, as it will only set you back around $400. When compared to the others and their lack of technology when you put them side by side, there’s really no better choice for those shopping on a budget. You’ll get 3-degrees of adjustability on the hosel as a finishing touch so everyone will be happy with the results. For the golfer looking for forgiveness, you probably already know that Ping are the masters in this area. If you need more playability on your misses, look n further than the G400 and the four different models it offers. There’s a low spin LST, standard, oversize, and a slice fighter which means no matter your style and areas of weakness, they have you covered. 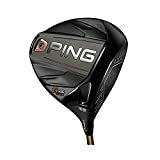 Ping has delivered their most forgiving driver here and although they’re a lot smaller than we’re used to that doesn’t mean they’ve sacrificed anywhere. The price is low at $400 and they all come with Ping’s famous ridges that reduce your drag and make your ball glide as smoothly as possible. While it may be the cheapest driver on our list at $300 a pop, that doesn’t mean it’s not a performer. Cleveland has managed to save some bucks by creating a simple driver that looks more like the clubs of yore, but you have to be prepared to put up with a lack of adjustability. Cleveland believes that the most important thing is forgiveness and so they’ve only added the features that will help in this area. Without adjustable features, you have to be pretty sure this will work for you, but all of the weight they save by not offering versatility means you’ll get a higher launch and even more forgiveness than you first thought. The 917 series from Titleist looks more like a throwback to their early clubs, but we can assure you the technology used in them is anything but old. This newer model has a sole channel that performs better than their previous lot and it’s because they thinned out the heel and toe portions to give you a better feel. The hosel comes with 16 different loft and tie settings as well as 112 flight options for the ball. This means you’ll get plenty of choices for how to make it work for you. With a weight in the sole, you’ll also be able to get either a draw or fade, depending on what you need, and will achieve stability even in your most off-center hits. Mizuno hasn’t always been big on adjustability in their drivers but the GT180 is set to change all of that. You’ll get to adjust movable weights, a sliding chip on the sole, three weight tracks, and the loft, giving you plenty of room to get it right. The titanium alloy face is a one of a kind for this type of club and it’s made to be 10 percent stronger than titanium. This means you’ll get a powerful drive and fast speeds, as well as forgiveness when you’re hitting those off-center strikes. At just $400, it’s great for a mid-range driver from a trusted name as well. When compared to the GT180, Mizuno has made the ST180 to be far more forgiving of the two. Other large drivers like this tend to have an issue with keeping their center of gravity just right which means your ball doesn’t get the distance it deserves. Mizuno has fixed this with a low internal weight which makes that issue disappear completely and you’ll be surprised at just how much effect this little weight can have. 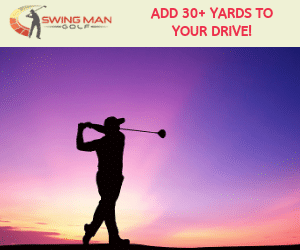 Their material of choice for this driver is a superplastic titanium alloy which gives it heaps of flex, even more strength, and a thinness that can be adjusted to your needs. 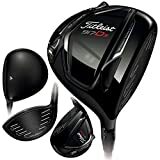 This driver costs around $400 so it’s fairly priced in the middle of the range, but if you want something big that knows how to keep its balanced then it’s the one for you. The driver often doesn’t get the recognition that it needs in the golf bag, but for many, it’s the foundation of their game. A number of advancements have been made in these clubs with everything from sweet spot technology to ball speed and forgiveness being better than ever. For the serious golfer, you owe yourself the best driver around, if for no other reason than to test out how far they’ve come. Some may say that the driver days are coming to an end and they’re all for show, but these top picks prove anything but. Any of the drivers we’ve ranked will make a golfer happy, so it’s all about choosing the one that best suits your swing and style.